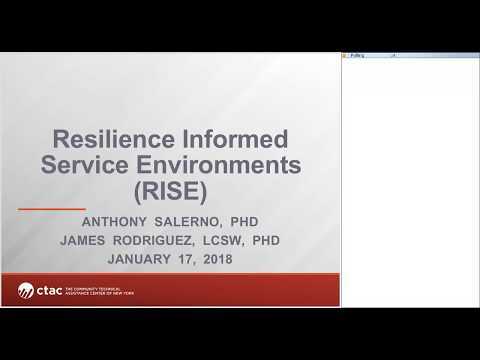 According to the APA, “Resilience is the process of adapting well in the face of adversity, trauma, tragedy, threats or significant sources of stress.” Resilience is a critically important concept with implications for programs that provide services to people across the developmental spectrum from young children to the elderly. In this webinar, we will provide participants with a thorough understanding of resilience, including an overview of the latest research and interventions that have been developed to promote it. The exploration of resilience will focus on its connection to the growing field of trauma-informed care. We will also provide information on the neurobiology of resilience and identify its key components. By the end of this webinar participants will be able to: understand the importance of focusing on strengths and incorporating resilience into their practice with individuals receiving services. This webinar is appropriate for service providers from all adult and child serving organizations. ** Please Note: This webinar has been approved by NYSED and ACE for 1.5 Continuing Education (CE) contact hour. For complete instructions on how to obtain CE contact hours, please refer to this document. Please allow 10-12 business days for the processing of CE contact hours.